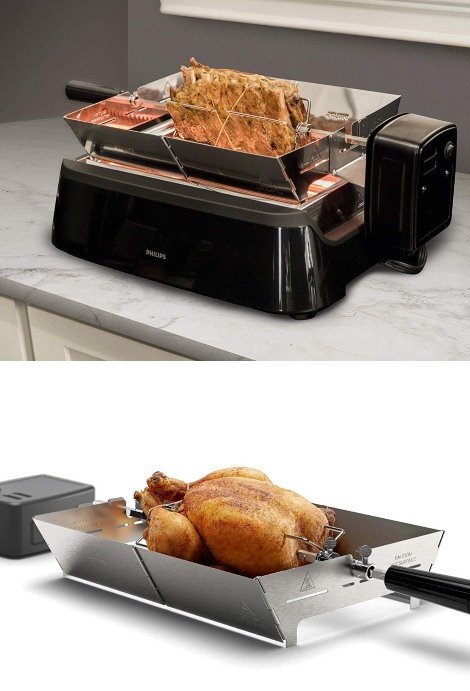 Cooking chicken, pork, lamb, and duck to perfection is going to be a whole lot easier with the Philips HD6971/00 rotisserie. 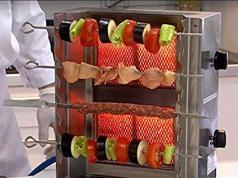 It is an automatic rotary skewer that roasts your food evenly. 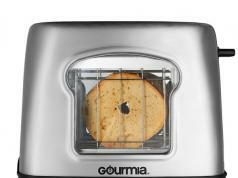 The elevated position ensures proper heat circulation. 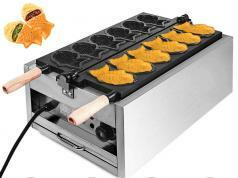 The frame can be folded for easy storage. To operate it, you are going to need D batteries.